The impact of radical growth in social media usage, compliance & procedure. What drives social media use by customers and potential customers? 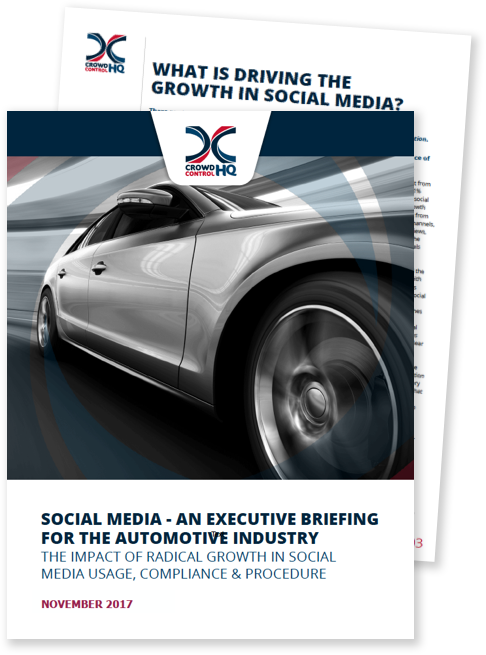 What are the operational challenges to effective social media management as an automotive retailer or brand? What are the key success factors for social media delivery? In this Executive Briefing we attempt to explain how social media delivery varies greatly across brands, but there are some proven approaches emerging. Automotive businesses have an opportunity to learn from ‘best in class’ examples of others within the automotive sector but also from others organisations operating at a same scale. Download the Briefing to learn more about the different approaches available and how you can collaborate more effectively by adopting the right approach.